Last week Myself and Pascal from Truckers.FM were lucky enough to be invited the beautiful city of Prague visit SCS Software! So, your probably wondering. What is the reason for this trip? Well to be honest, we've always wanted to visit the Czech Republic, especially Prague. It's been on my list for a while and I'm so glad to have the opportunity to visit it. It's a beautiful city with a rich history which is prevalent to see when you walk around. From the old trams to the beautiful cathedrals, Prague is a city I'd happily get lost in, with surprises around every corner! If you love food, and drinking then your in luck! 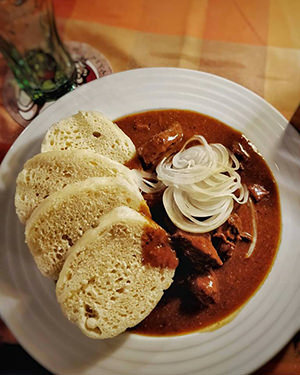 Prague is pretty well known for (in some areas) having beer that is cheaper than water, and having some very tasty dishes. It was incredibly tasty, and those bread dumplings we're just fantastic. But enough words, let my picture below do the talking! NOM. Enough about your stomach! 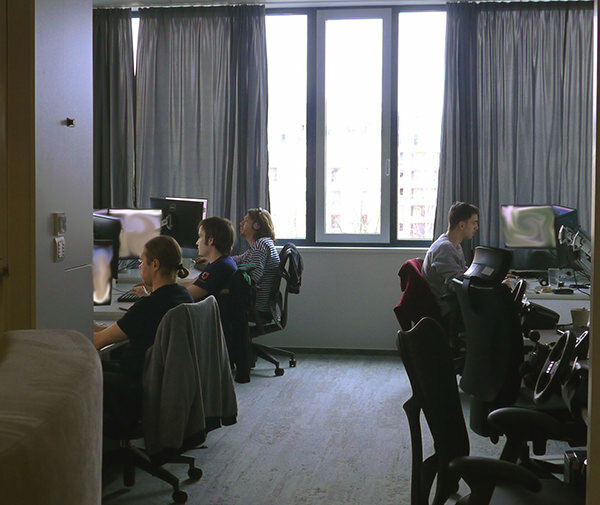 What did you do at SCS Software's Offices!? being so kind to allow us to visit and take us around and introduce us to everyone and just put up with a couple of fan boys basically! But seriously, Děkuji ! I may or may not of intentionally blurred some PC screens. Or maybe they actually are working on a whirlwind DLC. You'll never know. Nemiro was kind enough to take meet us and take his own time out to take us around the offices, and first thing is WOW. because they really are fantastic. 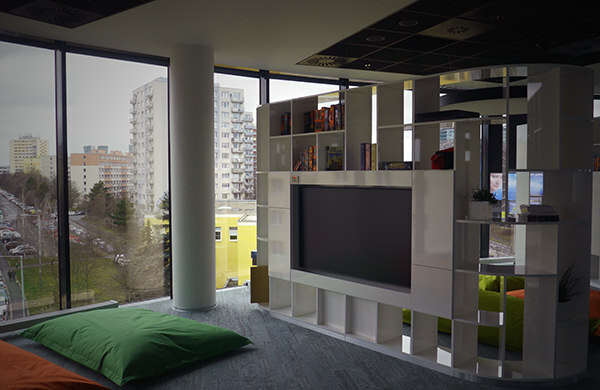 There are also lots of little meeting rooms, and offices which can be used for individual work or one on one meetings. They have also have a boss break room. Fatboy Pillows, Coffee, Tea and a great view. Just awesome. and everyone just cracking on with what they were working on. It really gave myself a sense of how much SCS Software care for their community, their games and how much they really are listening to us. Did you do anything else in the offices? We got to have a try at their Motion Simulator which is used for testing as well as just having fun on. They were the same ones used in the Truck Racing Tour with SCS as featured on the blog. SCS as a team also came up with an idea prior to our visit to create something special for us at Truckers.FM for our contribution to the community experience for truckers around the world. Your reading it here first, and soon you'll be hearing it! From didgeridoos to ukulele's we made some pretty fun Jingles for listeners to enjoy while trucking. Again, we were massively grateful for this experience and time we had to chat and bond with the team. It really will be something we won't forget. There is honestly so much more I could write about our experience, but I think i'd have to release it as a book if that came to be. In short, we are super thankful for the friends we met and made in Prague, our time there and the relationships we got to build. It made me smile ear to ear knowing that a lot of the good folk there knew who we were and what we did, and loved what we do. They work with passion, dedication and some good food dishes from a downstairs cafeteria. If you have any questions about our trip, I'm happy to answer them! I hope you enjoyed this small report on our trip, and well. 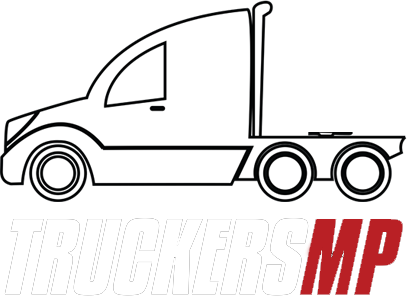 Thank you to you all for supporting TruckersFM to get to this point! Your all fantastic, Happy Days! 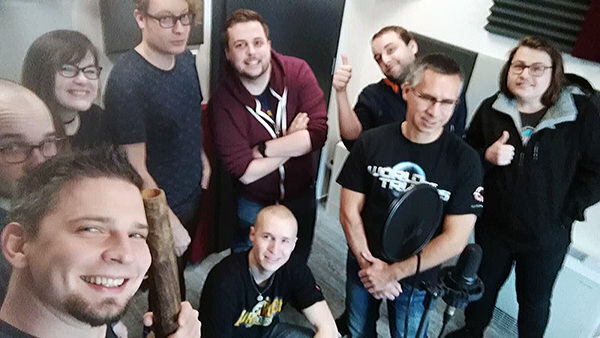 TL:DR - Food, Drink, SCS Offices, Recording, Driving, Fun. Wow, I really enjoyed reading this! Really nice post, man. It had to be cool to visit it. But I am jealous ... I am from the Czech Republic and I haven't been there. The trucking community is always pushing to the next level. Looks like you had lots of fun! Keep up the great work. Looks like an awesome office with some awesome people in! Thanks for writing a report on it! Love the blurred out monitors. Looks like a small but friendly environment to work in. Wow! I personally really their office. 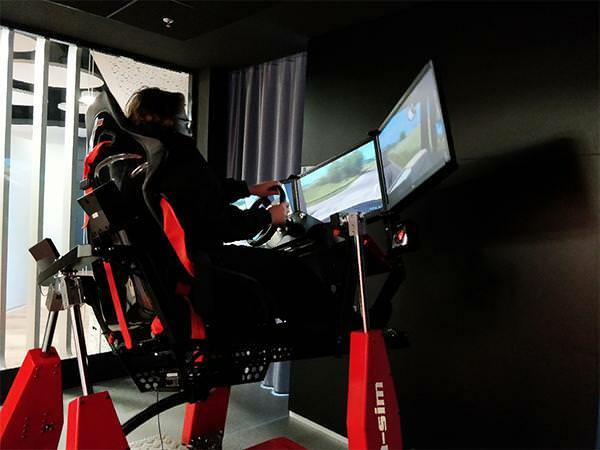 I wish to have this huge setup to play ETS 2 too. Looks like you had a great time, looks like it went well and welcome back! Very nice guys! Loved reading this, very interesting. True, but these old trams should be in museum, because it's not very comfortable and really often something's wrong with them. That is just too cool. I hope you guys had a great time! Congratulations on the photos and the achievement.